On the tour, our guide will familiarize you with the ship's history, massive capabilities, and weaponry while walking around through this living museum. We will venture below deck to see what life was like at sea. See if you have what it takes to hold command of the ship on the bridge! USS Missouri (BB-63) ("Mighty Mo" or "Big Mo") is a United States Navy Iowa-class battleship and was the third ship of the U.S. Navy to be named after the U.S. state of Missouri. Missouriwas the last battleship commissioned by the United States and is best remembered as the site of the surrender of the Empire of Japan which ended World War II. 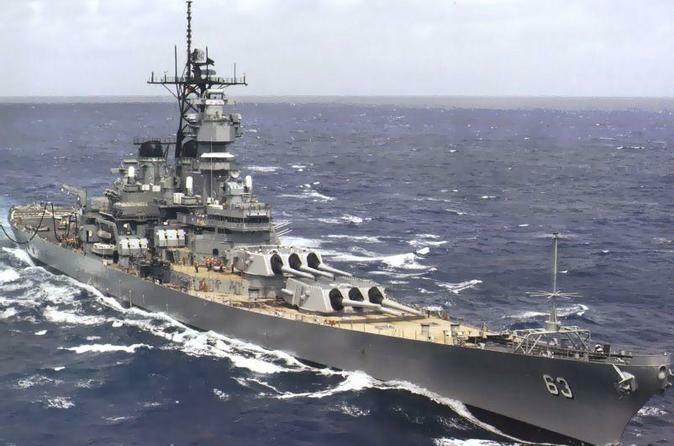 Missouri received a total of 11 battle stars for service in World War II, Korea, and the Persian Gulf, and was finally decommissioned on 31 March 1992 after serving a total of 16 years of active service, but remained on the Naval Vessel Register until her name was struck in January 1995. In 1998, she was donated to the USS Missouri Memorial Association and became a museum ship at Pearl Harbor.